Ionic conditioning is Ions, infused in the dryer's airflow which transform the water molecules in damp hair into smaller, micro-droplets which are easier and faster to dry, therefore hair is subjected to heat for less time so it stays healthy. As the micro-droplets are more easily absorbed by hair it stays more hydrated, looking and feeling gorgeously healthy and bouncy. If hair suffers from static, especially when you brush it or in the winter when the central heating is on, the ions will also prevent static for a frizz-free, smooth look. And the grille itself, made from ceramic, keeps the heat constant and even, eliminating heat spots that cause unwanted damage to your hair. Five attachments for curls, waves and volume. Play it straight with the fast-dry concentrator which focuses the air flow to provide pinpoint, accurate styling, especially useful for straight styles. 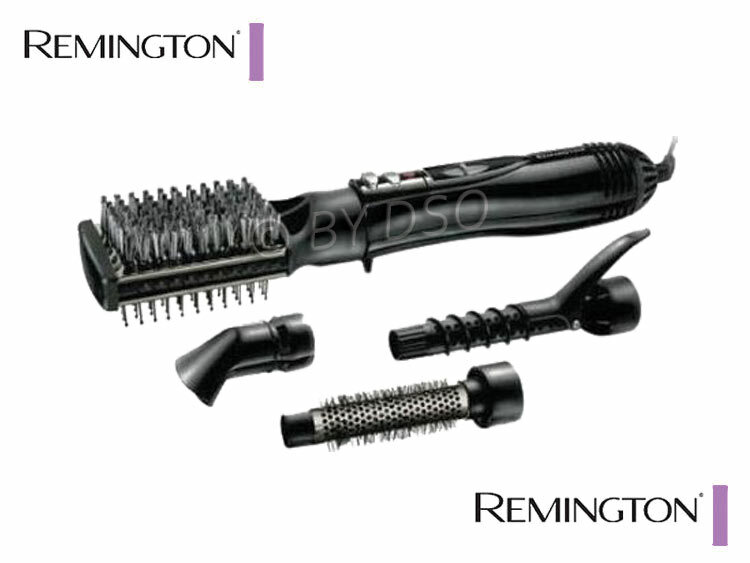 For curly, wavy hair, there's a 25 mm soft-curl spiral tong. Simply wrap strands of hair around the cylindrical barrel and in seconds you're ready to go, hair with light, natural movement and enviable volume. This has grooves in it for easy use, separating and directing the hair so you can style more manageably. Experiment further with curls thanks to the 25 mm thermal smoothing brush, 30 mm retractable bristles brush and double-sided paddle brush, adding up to one piece of kit with endless options. 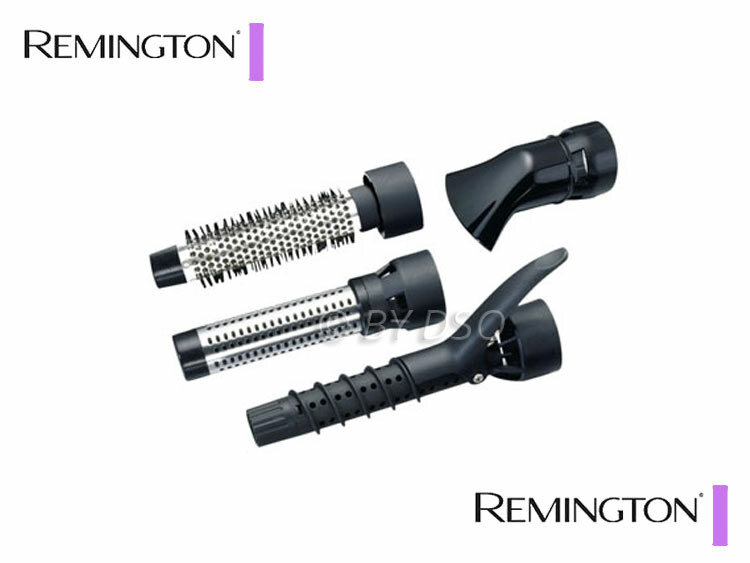 The Remington Amaze Air Styler has a powerful 1200 watt (W) motor with three heat and three speed settings so you can choose how you want to style your hair. Included in this is a cool air setting to help set your style in place. It also boasts a 3 metre (m) swivel cord for manoeuvrability and longer reach. It comes with a zipped, black storage bag that opens up to reveal useful ties to keep all of your equipment in place. Professional-looking and compact, it's suitable for on-the-go girls or neat storage in the home. The Amaze Air Styler also comes with a three year manufacturers guarantee.